South Africa’s largest retail pharmacy chain Clicks announced the opening of its 500th pharmacy at Clicks Park Station in Johannesburg. The Clicks story goes back 50 years to 1968 when entrepreneurial retailer Jack Goldin opened the first Clicks store in St. George’s Mall, Cape Town. Clicks was originally conceived as a drugstore, but regulations preventing corporate pharmacy ownership meant that it operated as a “drugstore without the drugs” until legislation was changed in 2003. This paved the way for Clicks to finally fulfill its founding vision. 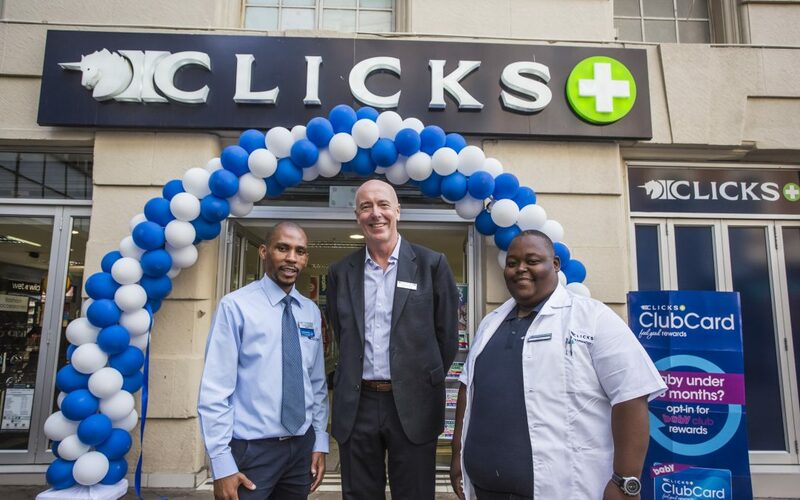 Clicks opened its first pharmacy in Sea Point in 2004 and since then expanded nationally to meet customer demand, opening the 150th pharmacy at Hyde Park shopping centre in 2007 and 300th pharmacy at their Franschhoek store in 2012. As a value retailer, Clicks has stayed true to its ‘you pay less at Clicks’ positioning, with customers continuing to respond positively to its promotions and differentiated product ranges. A national network of 500 conveniently located pharmacies, professional advice, low dispensing fees, a wide range of generic substitutes, a centralised patient database, and Clicks’ Repeat Prescription Service are some of the reasons to visit a Clicks pharmacy. Customers also enjoy all the usual benefits of a Clicks store, including ClubCard rewards, attractive promotions and a wide range of competitively priced health, beauty and wellness products. Clicks is committed to playing a role in addressing the severe shortage of pharmacists. “As the largest employer of pharmacy staff in the private sector in South Africa with over 2 700 pharmacy and clinic professionals, we continue to invest in capacity creation. Since 2012 Clicks has funded bursaries for 400 pharmacy students and provided internships for 266 pharmacy graduates,” said Kneale. Clicks Group recently announced a R100 million donation over two years from its employee share scheme trust to the New Clicks Foundation to support students in further education. The funding will enable Clicks to grant 100 bursaries each year to help ensure a sustainable pipeline of pharmacists entering the profession.